Well back from our trip to Kenya it's due time to share a little more of our experiences. 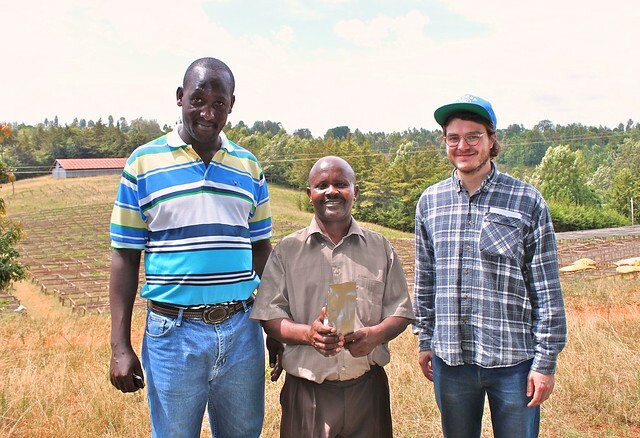 First of all, yes we bought an amazing lot of coffee from the Kieni wet mill. As we wrote in the last blog post we were really hoping that the quality of their coffee would match last years. For us as a roastery it's not very satisfying to be shopping around for coffees from different farms or coops every year. We know the farmers depend on a good income to be able to produce quality. In Kenya however we've had difficulties relying on one mill, though. Perhaps because the top quality there is so outrageously good that and cupping there is like the best Cup of Excellence. We have really been hoping to build a relationship with the farmers there and this year it's the first time we're buying from the same mill two years in a row. 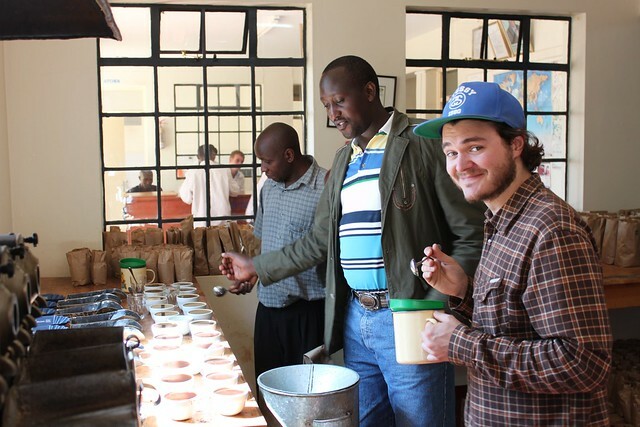 On this trip we cupped around 300 different lots of Kenyan coffee. Around 100 of them were AA lots. Of them probably 10-20 was something we'd consider buying. Not to say there weren't some great coffees in the rest, but just not what we're looking for. The Kieni had it though. The taste profile was very similar to last year. Heaps of black currant and dark berries but also some lighter citrus and floral notes came through this year. It still has that huge velvety mouthfeel and deep lush acidity. But it seems even sweeter and just more intensely aromatic. It's gonna be so much fun to nail the roast profile and see what we can get out of this coffee. Naturally it was very interesting for us to find out if Kieni does anything different than the other wet mills in the area. The mill is definitely very well run by Geofrey. He strike us as very serious about the production, keeping things organized and clean. 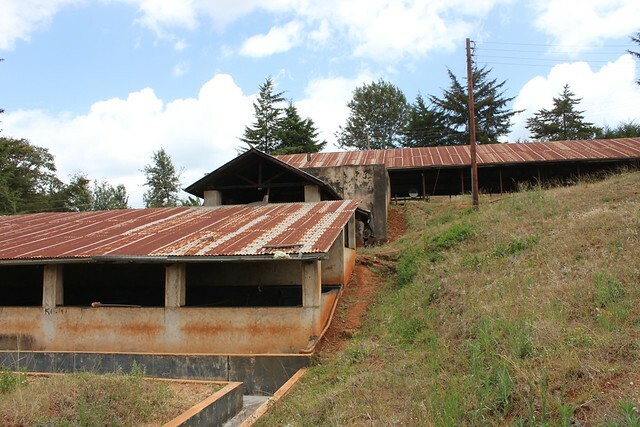 The Kieni factory is not the most impressive or beautiful we've seen in Kenya, but it's situated really well. The area where the drying tables are placed is almost shaped like a bowl, with a small valley at the end. This means the lots of air is coming through the area. The air is also not too warm, allowing for a cooler bean temperature while drying, thus reducing the risk of mold and fermentation processes at that stage. The factory also has two fermentation tanks. It's common in Kenya to ferment the coffee for 8-16 hours after depulping in the first tank and then do an intermediate washing before fermenting the coffee again for some hours. With two tanks the intermediate washing can be done more carefully and thoroughly. After the first fermentation around 90% of the mucilage is removed. The last 10% is mainly in the middle crack in the bean and is then broken down during the second fermentation part. After that the coffee is washed in the washing channels and then put in soaking tanks in clean water, where they can be left for usually 6-12 hours but as long as 48 hours. Recieving Station at the top, depulper in middle, the two rows of fermentation tanks under the bottom roof and finally the washing channels. After the washing process the parchment coffee is pumped from the soaking tanks onto the first drying tables for skin drying. 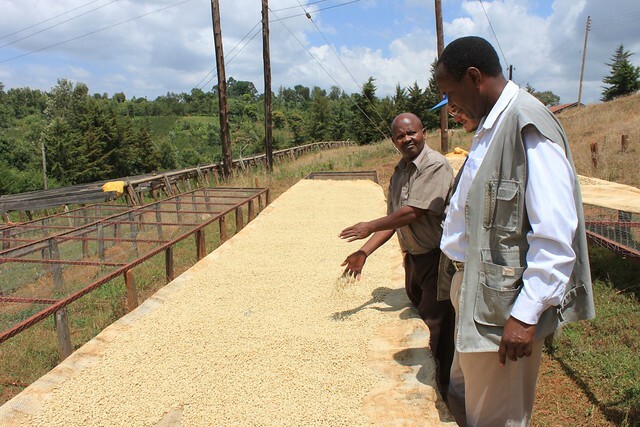 The first tables are slanting a lot to let the water run off and the coffee contains around 55% moisture. After skin drying the coffee is moved to the more flat drying tables, where it's dried to 10%. 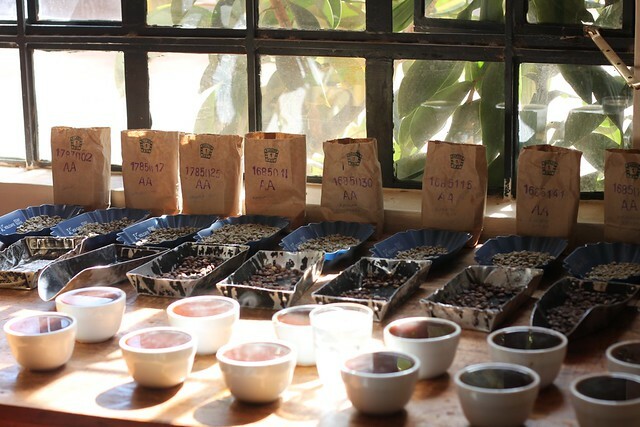 It's important that the drying doesn't happen too fast, and for that reason the coffee is covered to avoid direct sunlight. It's also turned over constantly to allow for even drying and the raised tables of course allow for air to pass underneath and up through the coffee. 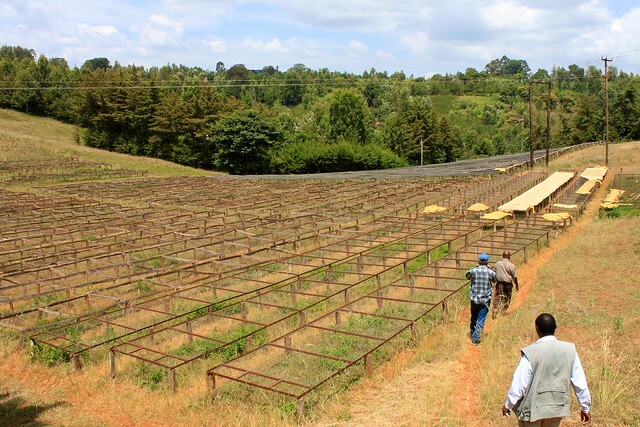 The drying at Kieni takes around 7 - 10 days. After drying the coffee is rested for another 2 weeks in a warehouse to stabilise the humidity inside the individual bean and throughout the entire batch. 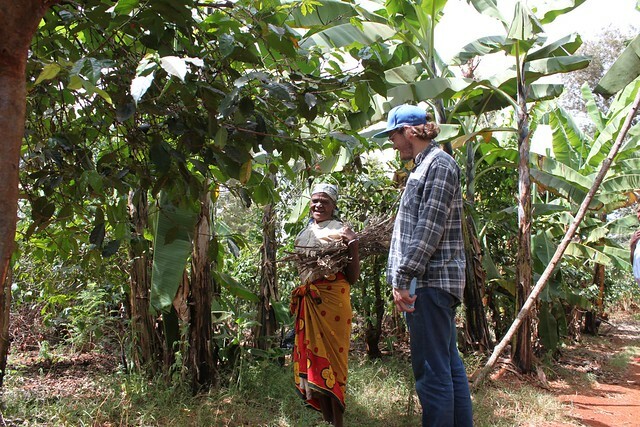 One 'lot' on Kieni is typically one week's total harvest. We cupped lots from other weeks as well and they were also extremely good. The best surprise came the day after we had visited the Kieni mill. We had just decided that we were definitely going to buy one particular lot from Kieni, which had really stood out. As we were trying to arrange calls to the farmers, their marketing agent and our colleagues in Denmark to sort it all out, the Chairman and Factory Manager plus one of the board members from Kieni arrived at the Central Kenya Coffee Mill, where we'd been cupping. They were delivering that weeks lot from the factory. It was a great pleasure to make the agreement with them right there and then, but even better was that we were able to cup their coffee together with them and talk more about our relationship with them. They are extremely happy to make direct sales. First off it gives them more money in their hands. This is the most important thing. Secondly, they take great pride in knowing where their coffee goes to. We had brought them a couple of bags of our roast of the Kieni we bought last year, and they had been really happy to show the farmers that this is where their coffee was going. As the chairman, Charles, told me, a lot of the farmers don't realise that their coffee makes it further than the factory. So they were happy and proud to see the factory name on the bag. He encouraged us to bring more bags next year. Will do. One last thing that really struck us when we visited some of the farmers around Mugaga, was the incredible biodiversity there. It looks nothing like you see at larger farms. The coffee trees are growing right in the middle of lots of other trees: Bananas, mango, tree tomato and many other fruits all in a big mixture. 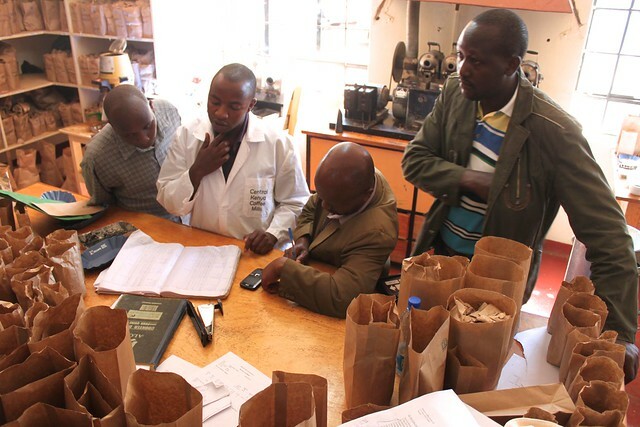 We also visited a lot of other societies and wet mills around the Nyeri region. 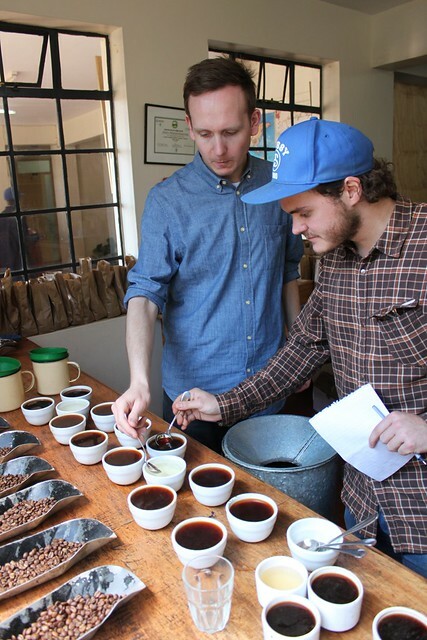 Some we have bought from previously and others are cupping great or interesting in another way. Unfortunately we can't buy it all. But everywhere we went people were extremely hospitable and eager to explain what they are doing. Everybody we talked with also spoke very highly about the direct trade system, and they confirmed that is more profitable for them than selling through the auction. 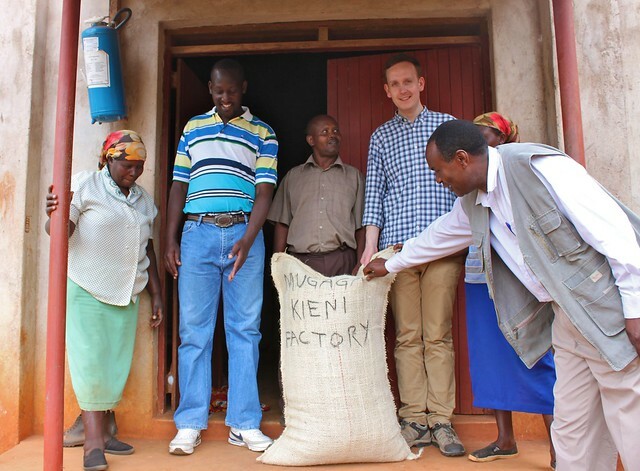 A big thank you to Kieni for showing us around and selling us an awesome lot of their delicious coffee. Thank you to Bridget Carrington from Dorman's for a good time in Nairobi. Also a big thank you to Philip Kamau from C.M.S. 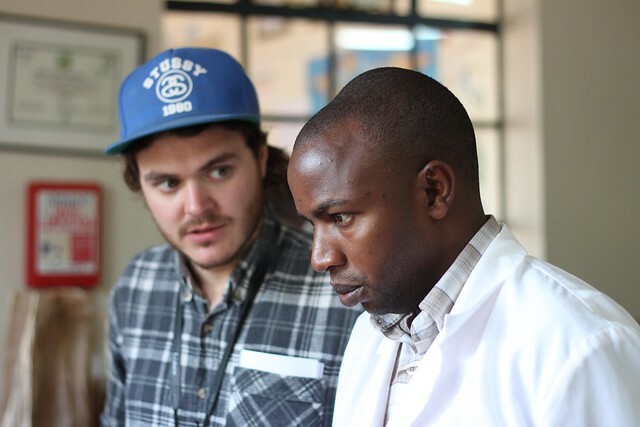 for explaining SO much about coffee growing and processing in Kenya to us. And especially thanks to Ernest Njuguna from C.K.C.M. for picking out some awesome coffees for us to cup. He's an amazing cupper and a guy we really respect. We are now waiting eagerly for the Kieni lot to go through an extra hand-sorting and then get vacuum packed. It will then be carefully packed and the shipped in a container to Copenhagen. Let's hope there's not too many pirates in the water... Meanwhile you can enjoy the full set of pictures on Flickr or drink some of last year's Kieni or Gatina. As part of Direct Trade we visit the farmers we buy from each year. You can see pictures and descriptions from each trip in our Flickr Origin Trips Collection. Great pics of Kenya! Congratulations on your third birthday party too!